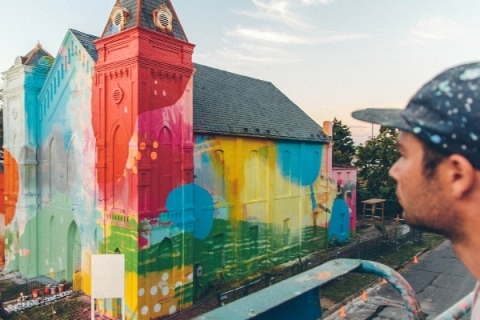 Alex Brewer, better known as HENSE, is an Atlanta native visual artist. 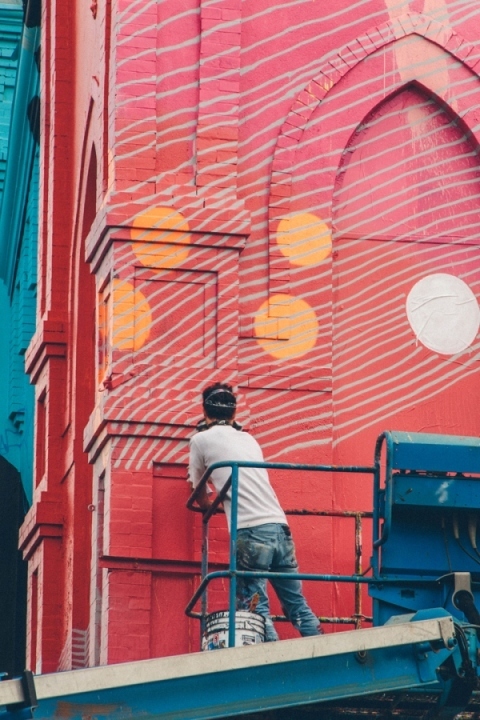 His free-form paintings and public mural installations include a combination of lines, shapes and organic forms. 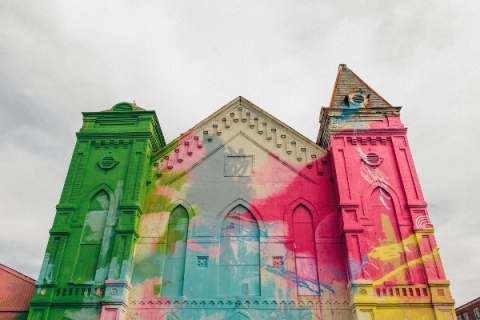 His work has been described as fluid and playful, and as an explosion of pastels. 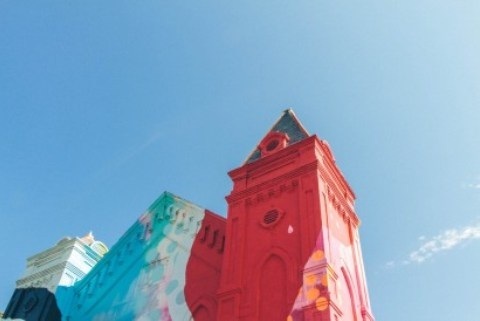 HENSE launched his career in the 1990s painting walls. 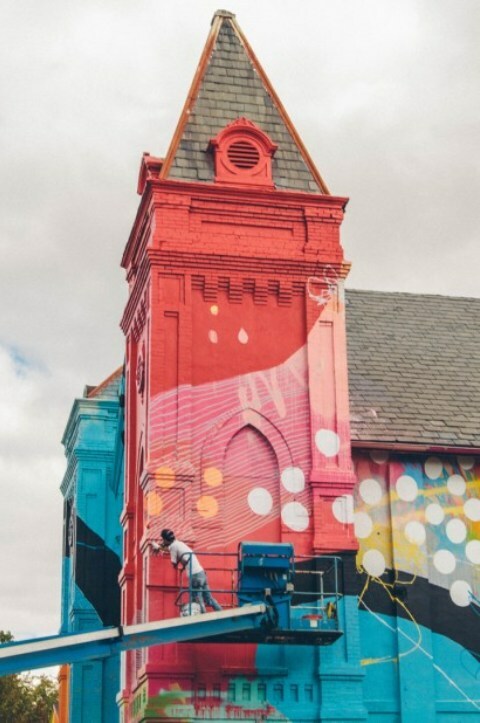 Soon he had achieved what is known as “all city status,” because his work could be found in almost every neighbourhood in Atlanta. 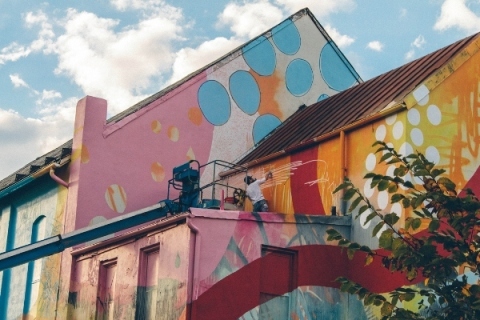 In addition, HENSE has produced exterior works across the U.S., also in Spain, France, Japan, Taiwan and Mexico. 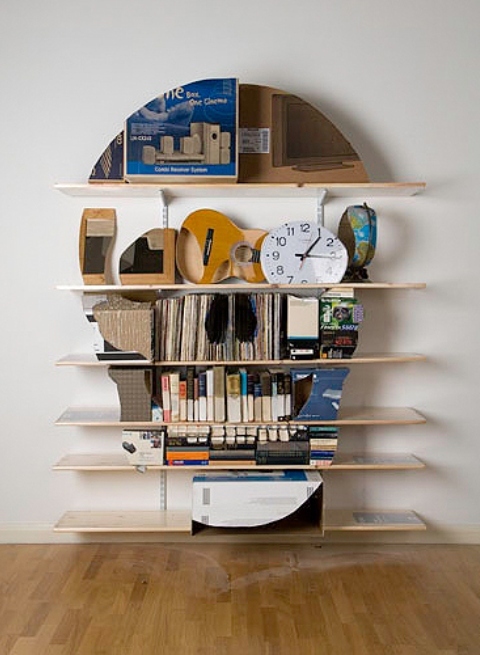 “I generally work on things in a very instinctive way. I paint, spray or draw shapes and marks, then decide on what stays and what goes.” His process and product is a battle between the bricolage of the street and the beauty of fine art.